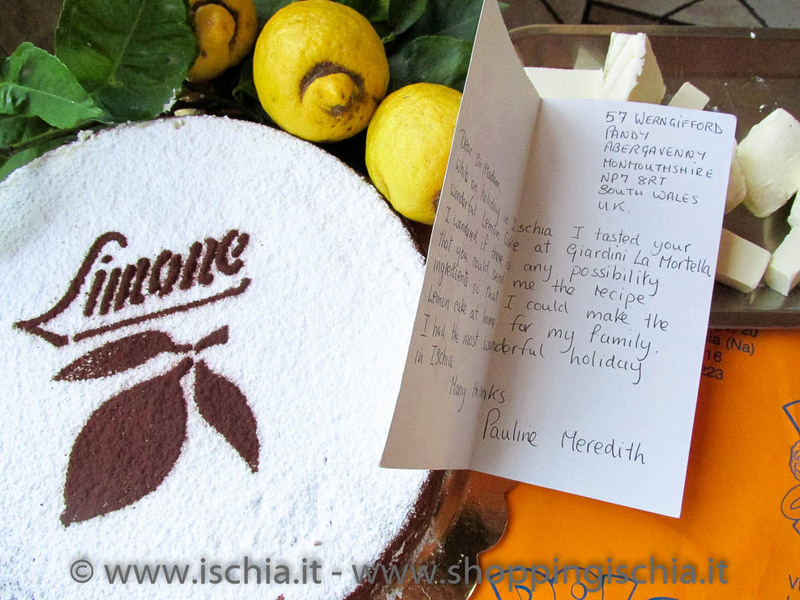 The special Lemon caprese with only lemons of the island of Ischia. Dimensions about 30 cm in diameter and 1.8 kg in weight. 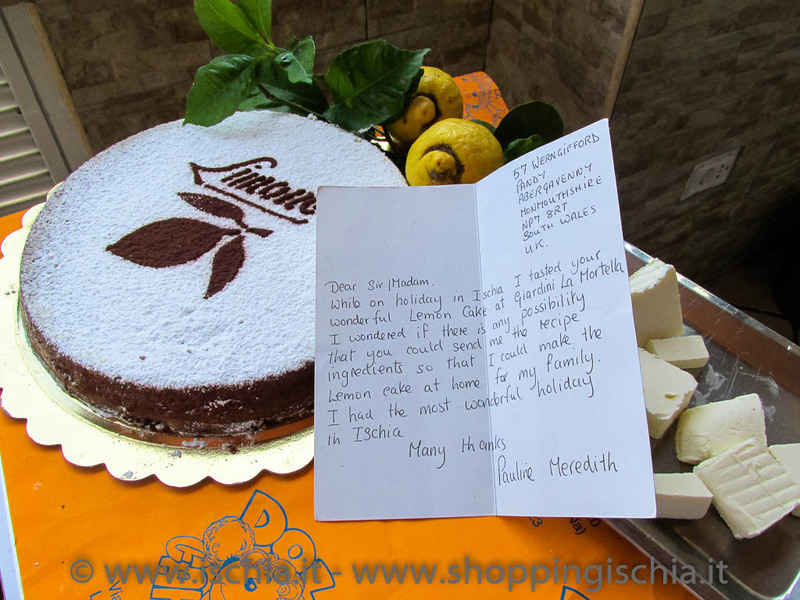 The bakery “Dolci Capricci” also supplies the famous 'Giardini La Mortella' with sweets and cakes that leave their mark. 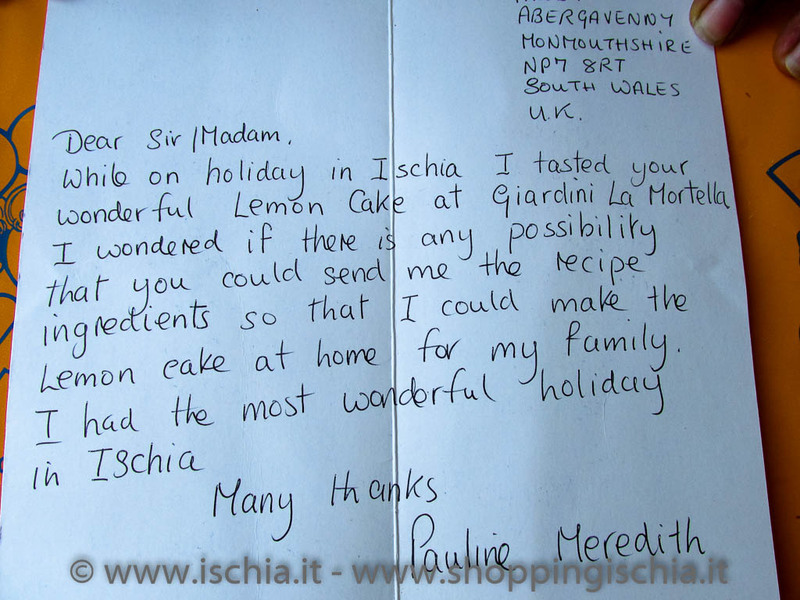 An obvious and very rewarding example comes from a recognition of an English tourist who, with a letter sent to Silvana and Claudio, has enhanced the exquisite “lemon Caprese” tasted during his stay on our island green, at the Giardini La Mortella! 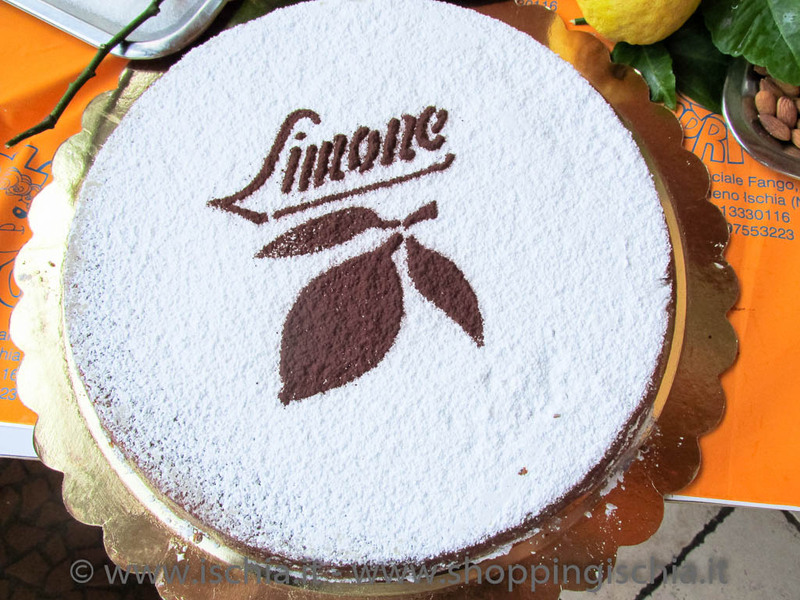 A dining experience not to be missed for your “Dolci Capricci” is no doubt, therefore, the special Lemon Caprese! Beat egg white until stiff and set aside. 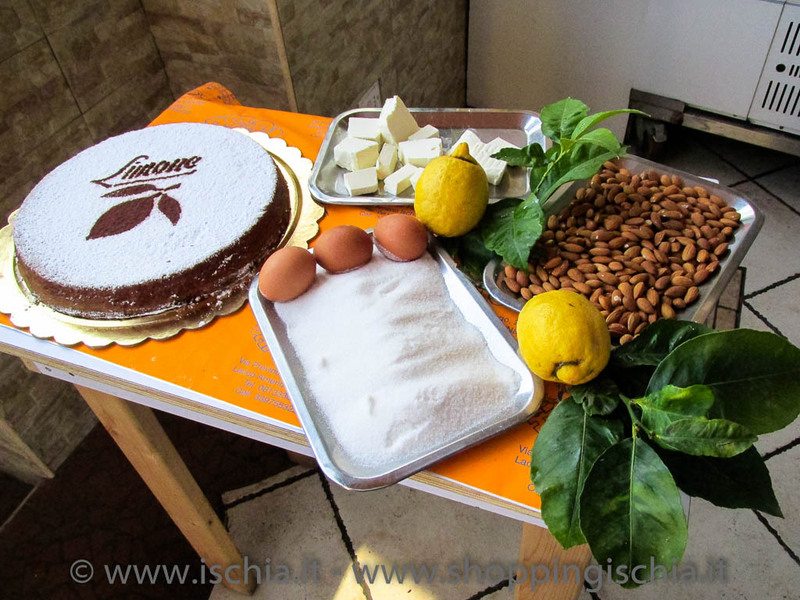 Mix sugar and butter and place the eggs a little at a time and add the egg white with the essence of lemon. At the end add chopped almonds and mix. Bake in the oven for about an hour at 170 degrees. 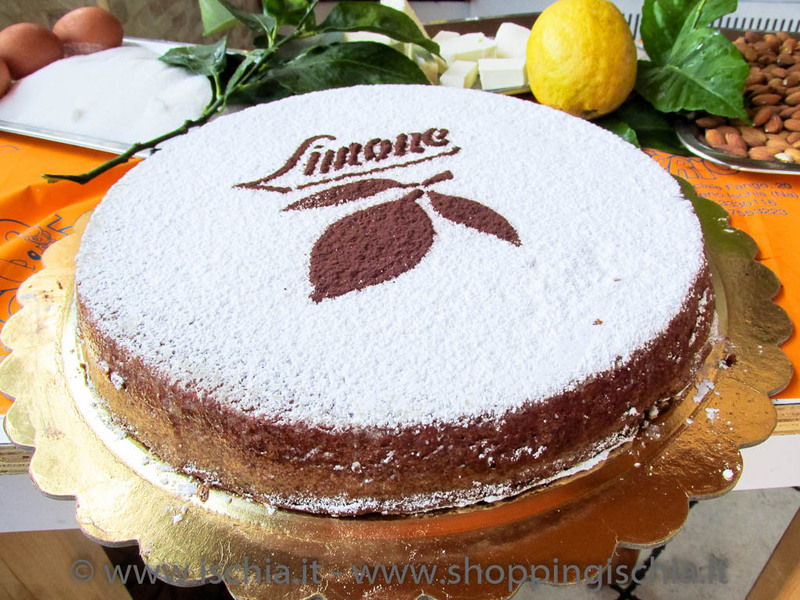 The special Neapolitan typical Pastiera, classic recipe. Dimensions about 24 cm in diameter and 1.0 kg in weight.